There are many places I’d love to visit in this country and I’ve made my list and checked it twice. I call it a “Love List,” rather than a bucket list. Although I grew up on Long Island and had easy access to Manhattan, I never had any desire to go see The Macy’s Thanksgiving Day Parade. Why? Very simple – it’s too darned COLD! I will happily hang out at home and watch Bullwinkle float by Radio City Music Hall and Tom Turkey float past Macy’s Herald Square on my television. I have a great view of all the action and a running commentary. I love when Santa arrives, signaling the end of the spectacle…and I’m all cozy and warm. Speaking of warm: perhaps next year I’ll watch it in Key West with a Margarita in my hand and my toes in the sand! Here’s the thing about being a gypsy at heart – you no sooner get back from one trip, and you’re already looking for the next place to go. My toiletries are still in their FAA-approved ziploc bag from our trip to Mexico for Halloween. Each time I see them in their little three-ounce-bottles my heart flutters and my adrenaline goes up a notch. I’m packed and ready! 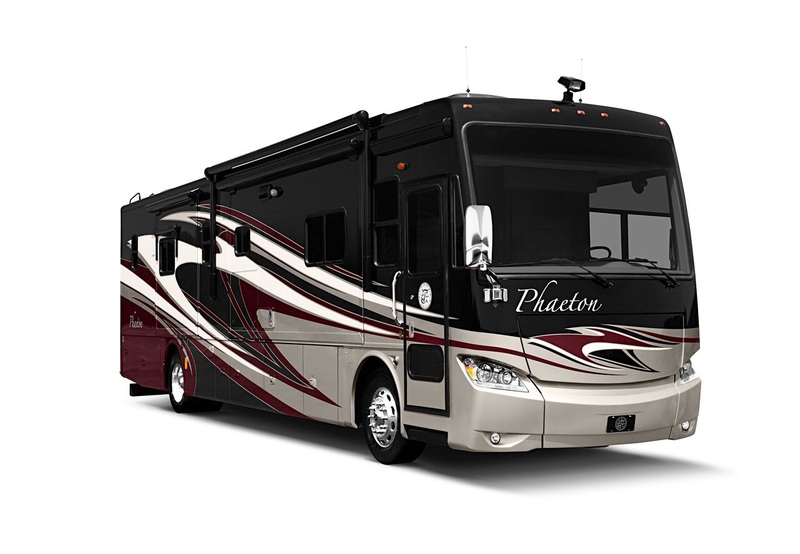 I do see a trip in my near future, the hunt for the perfect RV is underway. We’ve narrowed it down to four models, and a specific price range. It’s just like buying a car – that you’re going to live in. Now that I’ve done that part, here is where I bow out: I dislike everything about the haggling part of the process. My way is to pin photos where I can see them, write a price across them…and let the Universe take care of the rest! Universe, you are hereby notified: I want this baby by Valentine’s Day, 2016 or sooner, for a price that we are happy to pay. And if you have something better in mind, bring it! I AM SO GRATEFUL. 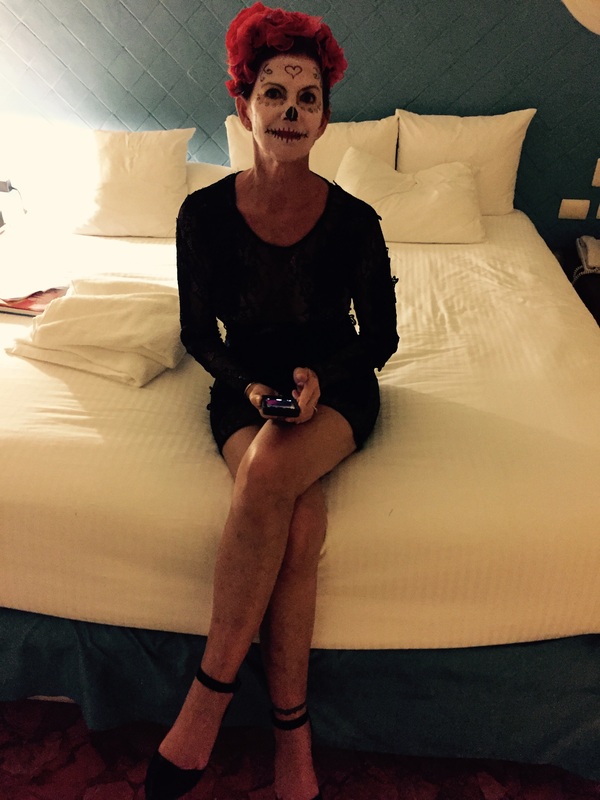 I got to go to Mexico for Halloween and Dia de Los Muertos. It was a combo get-away, meet-up with friends, and my 64th birthday celebration! The weather was fantastic; balmy breezes, rustling coconut palm leaves, a full-moon glowing on the Carribean Sea and lighting our way around the resort grounds. Back home in Austin it had rained until it was flooding. I had done a secret trial-run of my make-up, and couldn’t wait to unveil my costume. I was so excited that we almost forgot to take photos – this and one more are all I’ve got to show for the trip. I broke my toe in Mexico. But that’s another story!